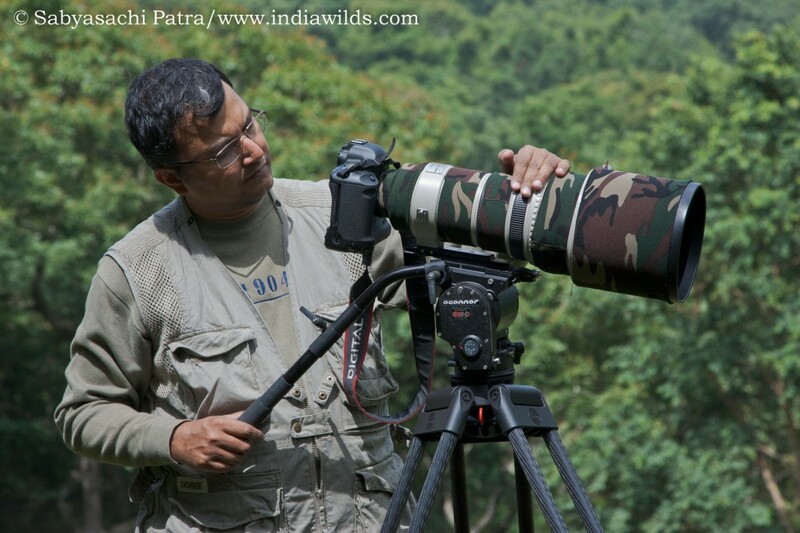 I have been getting many mails from readers asking questions about wildlife filming or how to become my assistant. In the first part of the series (http://www.indiawilds.com/diary/the-three-idiots-effect/), I had documented the irrational wishes of some of those newbies. In this article I am providing some direct answers to the queries. If you have any questions, you can post your comments here. I agree that I used lot of high end sound equipment, high end tripod and fluid head etc. However, the camera I used for my film “A Call in the Rainforest” is a DLSR, though it is Canon’s professional 1 series camera. I used the Canon EOS 1D Mark IV and I shot it in Full HD ie. 1080p at 24 fps. One can use a lower end Canon DSLR as well like a 600D, or 60D or 7D. However, at the moment Nikon is far behind in terms of its video capabilities. The new D800 is fine but with lot of moire etc. Nevertheless, you can use your Nikon if you know its limitations. In life, we will always have some limitation or the other. 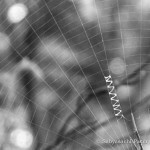 It is important to circumvent the limitation and achieve your goal. For example: The Canon EOS 1D Mark IV that I used for wildlife filmmaking doesn’t have auto focusing. So I had to do the focusing manually. One may say what is wrong in that, as all the professional cinema guys focus manually. The answer is those professionals don’t depend on a small LCD screen at the back of the camera to focus. SLRs and then DSLRs were primarily meant for shooting still photography. So you see through the viewfinder. However, video came later and for shooting video, you need to see through the LCD at the back of the camera. That necessitates camera to be placed or held in front of you depending upon your eyesight. When you try holding a camera at a distance from you to look through the viewfinder, then you will quickly realise that handholding becomes out of question. In sharp contrast, a video camera has been designed for a shoulder mount or to be held by hand with the LCD screen swiveling at any angle you want. I first used my still tripod Gitzo GT3530LS carbon fibre tripod and a Wimberly V2 head. Unfortunately, when you attach your Canon 1D Mark IV and the heavy EF 400mm f2.8 L IS lens weight 5.3kgs on it, you will quickly realise that though this is a great combination for still photography, it is not good enough for filming. If you are shooting in a windy situation and filming, then there would be jitters in your video. In still photography, you can discard one shot, however, when filming the entire sequence gets ruined. With the Full HD footage (1080p) that you get from most of the DSLRs, it is important that you have a stable support. Also while panning your shot, you need a good fluid head. Else, your panning will have be horrible to say the least. For example, the fluid head that I use – Oconnor 1030 HDswhich is the beginning of the range used by Hollywood guys – costs 7000 USD. 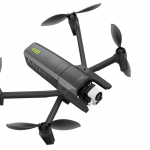 Thetripodcosts around 3000 USD. A relatively cheap Miller DS-20 Fluid costing about 1100 USD will also work for people, if you don’t have stringent requirements. Ofcourse, you can use the Manfrotto 519 costing around 800 US dollars. Add to this the price of a tripod. If you want to compete with the best in the world, then obviously you will need to invest in high end equipment. I have invested in equipment to do sound recording. I should warn you that this is entirely a different field altogether and the investments to get good equipment is huge. I have recorded the sound myself. The built-in mic of your DSLR is not good enough. There is no way out but to buy external microphones. They come in all shapes and sizes depending upon your quality requirements and budget. It can vary from couple of hundred dollars (like the a Rode microphone) to a few thousand US dollars like the Schoeps SuperCMIT at 4750 USD. I have settled on a Sennheiser MKH 416. I have bought the all time favourite Sennheiser MKH 416 microphone. In case you want to record interviews, then you may need to pick up a Lavaliere microphone. I use Sennheiser EW 100 G3 series of wireless microphones for recording interviews. I use a Telinga Parabolic microphone for recording distant sounds. You would need an amplifier/mixer to connect your microphone and then the output can be recorded in a sound recorder or plugged straight into the camera. Plan at least about 400 odd USD for that. The cheapest sound recorder with professional XLR inputs can cost you about 300 USD (Tascam DR100). 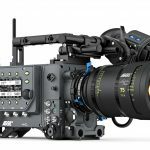 If you want a much better quality like the ones used by Hollywood fellows, then you have to buy Sound Devices or a similar brand costing several thousand dollars. I use the Sound Devices 702 recorder . You can use lower end recorders as well like the Tascam DR 100 (which I have as well). It is important to monitor the sound that is being recorded. So you need closed microphones. A popular Sennheiser one can cost you about 90 USD and upwards. However, it will last for a decade or so. Remember, that it is not advisable to use a noise cancelling microphone, as you certainly want to hear any noise that is creeping into your recordings. I didn’t compose music. I got it scored by a music composer and it costs money. However, you can see the output. People just pick up some bits of music from the net or buy a few bits and then use it in their videos. Obviously, the output is not likely to match music that is specifically scored for your video. Yes it is possible. However, it is not easy to procure content and compete with the likes of Discovery, National Geographic and Animal Planet. I hope some of the existing players are looking at this genre. The only wildlife programming I remember used to be done by NDTV and aired on Sundays. I guess that is also stopped. Doordarshan used to allow some programming. I am not sure what is the scene these days. However, doordarshan used to have some stringent conditions for Indian programs. Whereas they used to allow a foreign program where the presenter is himself seen in the video, they were not allowing Indian presenter to be seen in the video. Not sure if the situation has changed. Anyway, I am not photogenic and don’t like to come infront of the camera, though I have narrated for my film. 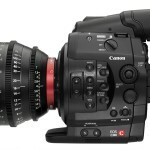 Today I primarily use the Canon Cinema C300 professional camera for filming. 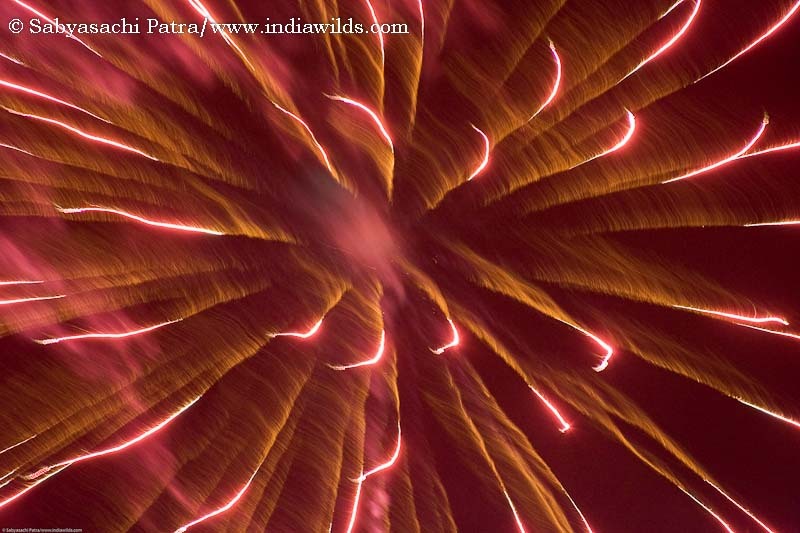 Please post your comments and feedback on Wildlife Filming in India in the comments below. Thank you very much sir for your all informations… I need to know one more thing that when shooting videos the slow motion effect is done by in camera sutter adjustment at the time of filming or there are some video editing software which are doing such effects???? Slow motion is done in camera, provided the camera has that option. Slow motion means mostly double or more frames per second. So if a film is shot in 24 fps, then for slow motion one needs to shoot at 48frames per second. Now there are options to shoot even higher frame rates (for eg. 120 fps in Canon C500) in some cameras. Way to go man!! Thanks for the DVD, I and the family saw it yesterday. 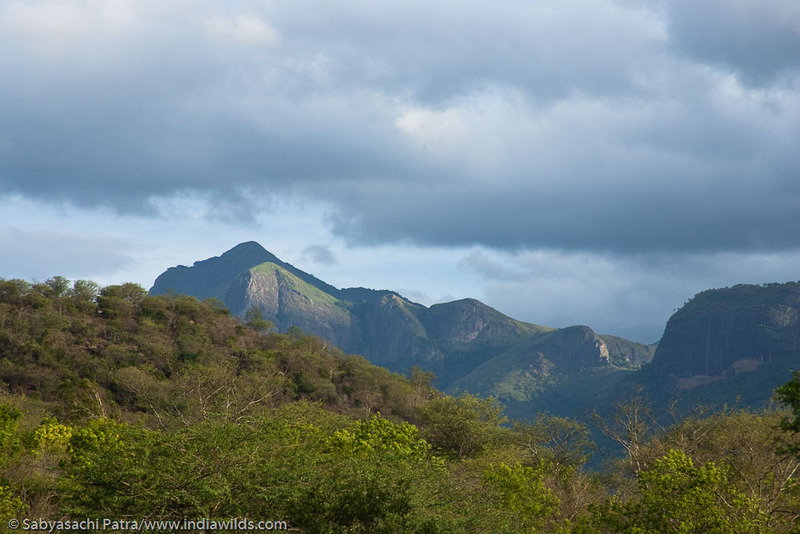 I am really impressed with your drive and committment to wildlife and its protection. For a 1st effort it reflected your love for the subject very well. I am sure this drive and your new medium will manifest itself in more and more sophisticated output. Great job done, really appreciate people who just do it and get on with life, exploring and breaking through new boundaries of achievements, experience and knowledge! My best wishes for the next one and would love to accompany you for a trip if our schedules permit!! My film “A Call in the Rainforest” got the Vasundhara Puraskar, 2nd Prize by Maharashtra Government. I received the prize on 5th June. I am sure we can plan a visit together. I am from kolkata. I am digital film editor and amature documentary film maker. 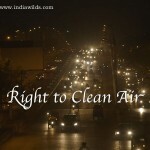 I have made few docu film on political and environmental issue. Now, I want to make docu film professionaly and i choose to buy to buy panasonic AG-HMC82 camera for that. My question is that, is this camera be good for filming wildlife. Interesting to see my namesake. Before answering in detail, I would like to know how do you plan to use the footage. The Panasonic AG-HMC82 camera has a 3 CCD sensor. It doesn’t have the ability to shoot at 1080p. It can shoot at 720p and at 1080i (interlaced). Of course, a lot of TV news in India is still being done at 720p. However, you won’t be able to future proof your camera. Hi, I want to know more on the Identification, Planning and execution of your Passion. How you zeroed inn and then Prepared and Plunged…. As I used to do Strategy consulting, I can tell you that one of the strategies that a corporate or individual can adopt is the “Emergent strategy”. For example if you look back into an organisation’s actions and find that there is a consistent pattern in it, then it becomes its strategy or strong point. I have been photographing seriously since 1992 first with a Manual focus SLR, followed by many Canon prosumer and professional SLRs. Since there was nobody to teach me (as people don’t want to give away their secrets) I learnt the hard way, by trial and error as well as by reading many imported books. Ofcourse, I could pick up a few things from my dad as well. These little things added up and kept on increasing and fueling my passion. So I don’t need to go out to discover my passion. It is already known to me as well as to everybody. Planning is another thing. Since 2002 I knew that I will do this. So kept on working on it with a long term perspective. However, short term plans keep on getting fine tuned based on how good you can execute. I believe in Malcolm Gladwell’s 10000 hrs theory, so unless someone has put in that ten thousand hours of effort he/she won’t achieve excellence. So keep on persevering. wildlife film making. 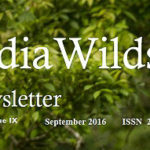 Is there any wild life film making courses available in India? I would be grateful if you provide your valuable advice and some help to take wild life film making as my career. Good to know about your interest in wildlife filmmaking. I am happy to learn that you have already directed documentaries as well as working as a professional script writer. I am sure you have already gathered expertise. So why do you want to go for a filmmaking course? Filmmaking course helps in understanding the basics as well as to network so that people get a reference. 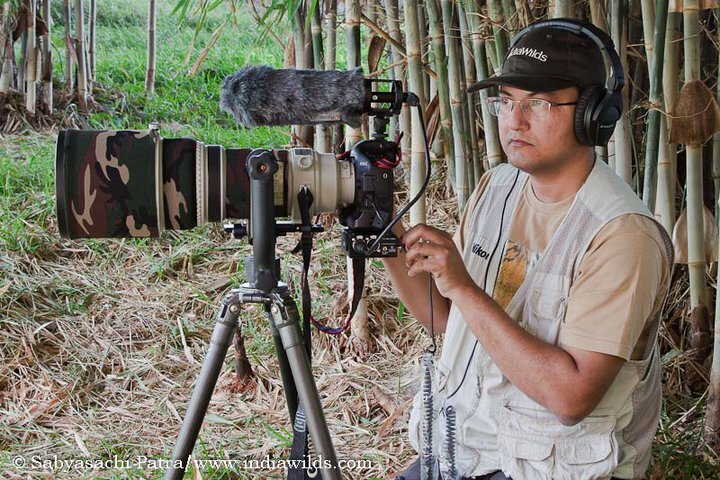 However, there are hardly any wildlife filmmaking courses in India. These days with the popularity of wildlife photography, certain institutes have sprouted and offering courses which I will avoid. Wildlife filmmaking is a bit specialised field. You need some expensive equipment like long lenses and more importantly you need subject knowledge. You will not find anyone teaching you about animal behaviour. Unless you know natural history, a person will not succeed even if he/she may be a good cinematographer. 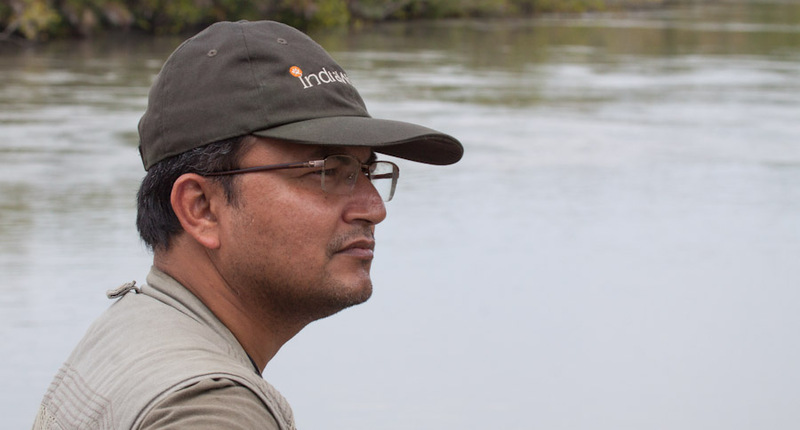 In India, wildlife filmmakers are very insecure and will hardly help others. So don’t expect anyone to help you. Also beware, they will try to misguide you in buying some rubbish equipment. Since you are a Zoology student, it should be easier for you to learn natural history aspects. 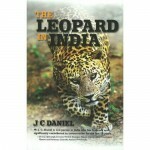 You can also learn more about animal behaviour in the natural history section of IndiaWilds Forums. Send me a mail (my mail id is at the bottom of the page) with some more details and if possible links to your work. You should post about some conservation issues in North East in the IndiaWilds forums so that I understand your work better. I take IndiaWilds members in my films in different capacities once I know their capabilities, commitment and attitude. If you are committed, then I will try to help you. Thank you sir for your suggestion, but is panasonic AG-HMC82 camera appropriate for docu film (not wildlife) which i can send various film festival around the world. One can definitely do a documentary film with any camera and send it to festivals. They will judge on the basis of content and quality standards. The quality standards expected by each festival is different, so I can’t make a blanket statement. Ok, thank you sir.Good night. 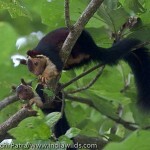 i am student of bsc i want to job in wildlife film for cinematographer. I very wildlife film watch last frog,planet earth ,earthflight and mostaly watches film for steve downer, david attenborough and doug allan. Sir help me i am working for wildfilm in cinematography.where are contact for this work?